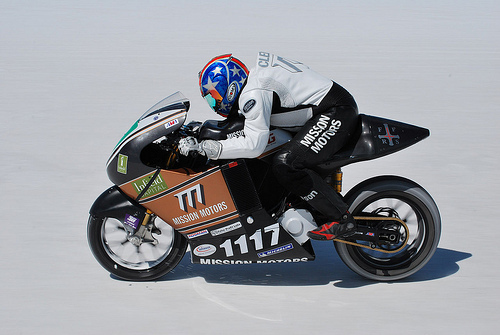 | ElectroVelocity | Mission Motors Announces The Mission R! 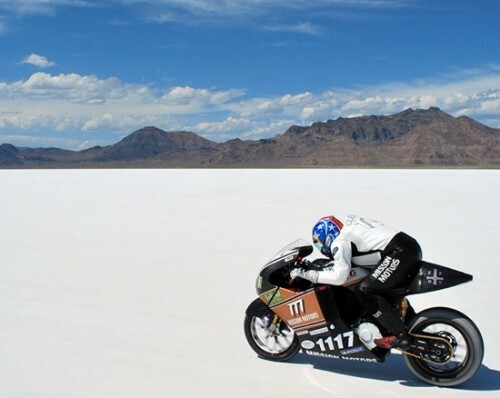 After having made it clear that they will be racing in 2011, Mission Motors have posted the above image of an all new model on their website, named the Mission R it appears to be a more track-centric superbike not dissimilar to the Mission One bike that set the world record for an electric motorcycle at the Bonneville Salt flats in September last year (see pictures below). It may very well be that Mission Motors will sell the Mission R as a race ready electric superbike in the same way that the Mavizen bike is currently available for the TTXGP championship. 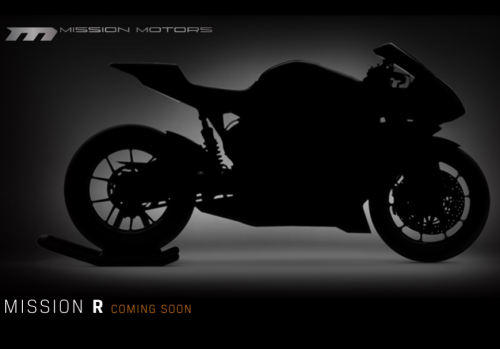 Mission Motors are currently taking pre-orders on their road-ready electric superbike, the Mission One. 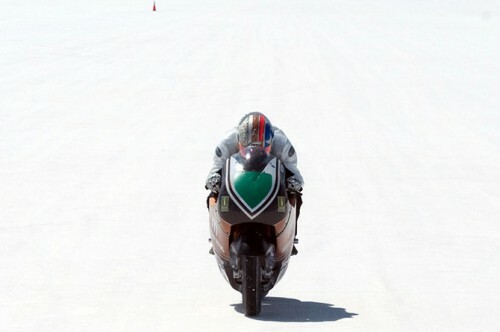 The bike offers a top speed of 150+mph and a range of 150 miles, the bike will sell for $68,995 USD before tax rebates. Nice catch, I missed this picture yesterday. Interesting rear shock placement on the bike. Looks like that might be the motor mounted high and to the rear of the shock. This would make more room for the heavier batteries lower in the bike. I would love to see Mission racing in 2011. TTXGP now has a 250 kg weight limit, down from 300 for 2011. Not easy to tell based on a silhouette but it looks like the bike should be well within the limits.